We offer our malware removal service to businesses and individuals alike. Malware is any type of malicious software such as ransomware, Trojan horses, adware scare and any other computer software that has access to your computer and network without authorization, or that behaves in a way that you did not intend. When your computer has malware, it can be slow, fail to boot up, overuse your hard drive, redirect you to different malicious websites and ask for ransom from you before you can use it. Why do we offer a malware removal service to our Ottawa customers? We understand how important your information and computer is to your day-to-day work, and how any information loss, theft or damage or ransom can be devastating to your productivity and more. Before you pay any ransom, contact us at Snappy Techs Ottawa. We can remove any and all malware. 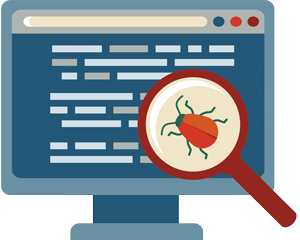 After scanning, we make sure we remove all detected threats, and clean up any files and registry keys that were created by the malware. We will also remove any start-up malware. We make sure we put anti-malware protection and ensure that you also test your computer before you pay. We give you a 30 day warranty. Get rid of malicious and annoying malware today by leveraging our Ottawa malware removal service. Our Ottawa technicians stand ready to help.